Justin Trudeau is defending his feminist credentials as the two women he ejected from the Liberal caucus say they have no regrets about standing up to the prime minister on principle. 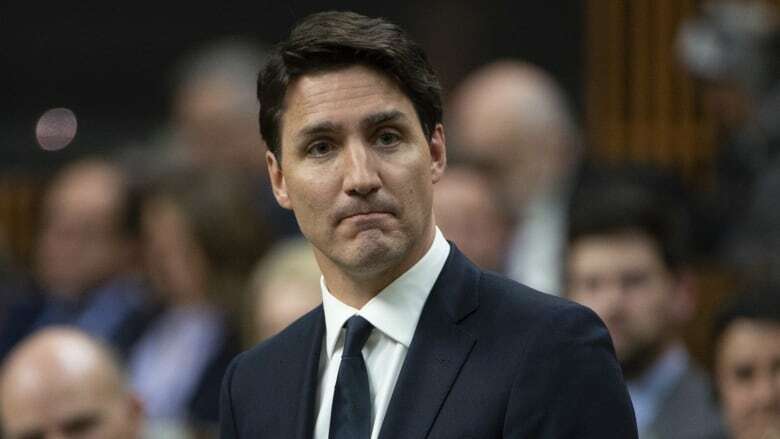 Trudeau announced late Tuesday he had ejected Jody Wilson-Raybould and Jane Philpott from caucus, saying that trust had been broken with the former top cabinet ministers. Facing accusations today of hypocrisy regarding his equality agenda, Trudeau pointed to the important work of key female ministers, including Foreign Affairs Minister Chrystia Freeland, Labour Minister Patty Hajdu and Minister of Democratic Institutions Karina Gould. "We have an extraordinary range of extremely strong women in our caucus and cabinet who continue to work on good things for Canadians," he said. The expulsions came just before 338 young women took seats in the House of Commons today for the Daughters of the Vote, an event that draws female delegates from every federal riding in Canada to represent their communities and visions for Canada. Some of those delegates, expressing support for Wilson-Raybould and Philpott, turned their backs on Trudeau in silent protest as he addressed the chamber. The prime minister announced that Wilson-Raybould and Philpott were out of caucus during a national Liberal caucus meeting Tuesday night, which was open to the media and televised. He said trust with the two MPs had been broken and called it "unconscionable" that Wilson-Raybould would tape a conversation with Michael Wernick, the clerk of the Privy Council. Speaking out today for the first time since her expulsion, Wilson-Raybould said "trust is a two-way street." "I think it is unconscionable to tread over the independence of the prosecutor. It is unconscionable not to uphold the rule of law," she said in a scrum with reporters alongside Philpott. "I have always maintained that stance. I think it is very alarming that people are focusing on the actual recording of a tape as opposed to the contents of the tape." A 17-minute audio clip of a Dec. 19 conversation between Wilson-Raybould and Wernick was released Friday as part of a submission to the Commons justice committee. In that call, Wernick told Wilson-Raybould that Trudeau wanted a remediation agreement for SNC-Lavalin "one way or another," and said the PM was "firm" on the issue. Asked about it the House of Commons today, Trudeau said he was never briefed on the call and wishes now that he had spoken directly to Wilson-Raybould. Wilson-Raybould has said she took the extraordinary step of recording the call because she was at home in her Vancouver condo without a staffer to take notes, and she expected the call would be inappropriate. "I was protecting myself," she said today. "I knew that something very dangerous and wrong was going to happen, and that my job was at risk." Philpott called it "very unfortunate" that the situation has come to this, but said she always acted out of principle and the best interests of Canadians. "After the story became known in the public and it was clear that there had been attempts to persuade the former attorney general to intervene in a criminal trial, and the communications of the government were to deny that took place, I could not come out here in good conscience and deny it," she said. "Because I believed what the former attorney general said." Wilson-Raybould and Philpott said they will take time to reflect and consult with family and constituents before deciding on their next steps. Conservative Leader Andrew Scheer accused Trudeau of framing the issue as one of caucus factions, when it's really about silencing whistleblowers. "This is about two strong individuals who saw something that was wrong and decided to stand up to it," he said during question period today. "Why does speaking truth to power disqualify you from sitting as a Liberal?" Conservative deputy leader Lisa Raitt said Trudeau was punishing the two women for speaking up about something they believed was wrong. "They stood up, they told their truth, and I guess the message from the Liberal Party of Canada is, if you go offside on our political aspirations, we're going to destroy you," she said. "And that's what we saw yesterday. Two political careers destroyed by the prime minister himself, because he didn't like the fact that they spoke up to him." Liberals on the Commons justice committee used their majority to suspend hearings into the SNC-Lavalin matter. Then, Liberals on the Commons ethics committee used their majority to defeat a Conservative motion for the committee to conduct its own probe, arguing that the justice committee was still doing work on the topic. Several Liberal MPs defended Trudeau today, insisting women have a voice and a place in the Liberal Party. "We have a strong prime minister that is a feminist, we have a feminist agenda. Our record speaks for itself," said Tourism Minister Mélanie Joly. "As to my two colleagues, I would argue that loyalty and feminism are two different things. There's no male or female definition of loyalty. You either have team spirit and you want to work on a team, or you don't."